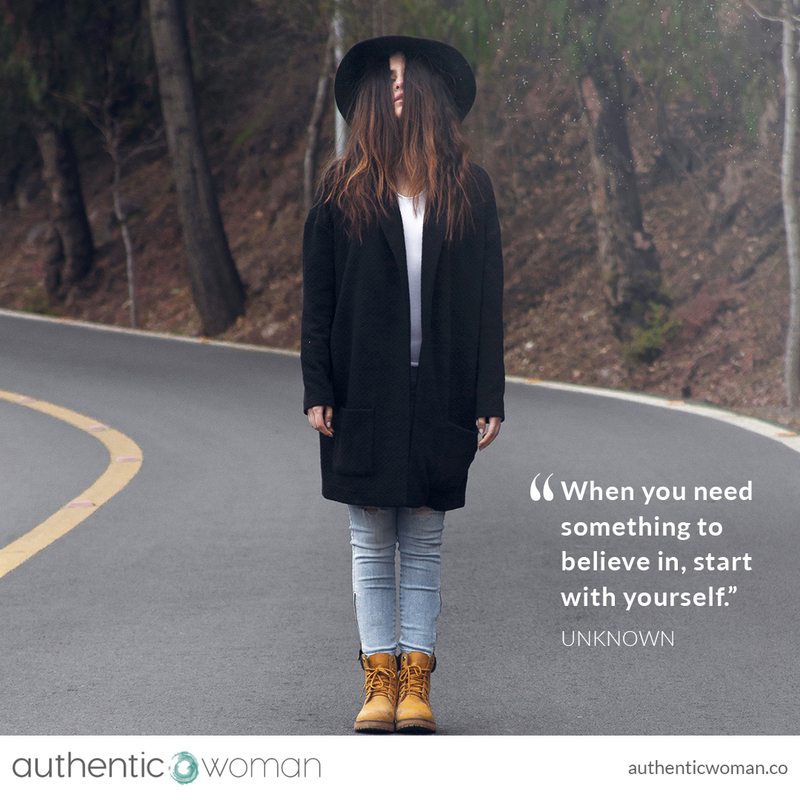 What does it mean to believe in myself? In the past I would have said my belief in myself was directly linked to how confident I felt about my ability to achieve my goals, to persevere, to have resilience to weather the inevitable setbacks. And there is truth in this. However, this kind of belief in myself requires me to have ‘successful’ experiences so that I have something to point to and say ‘see I can do it’. But what happens when I have a string of failures? My belief in myself wanes, my inner critic goes to town and I find myself swimming in self-doubt. She’s right; my self-worth is not ever going to come from something anyone says or anything I accomplish until I intrinsically believe I am worthy. But HOW do we do this? In my experience it takes practice and it’s a process that started with being kinder and gentler with myself every day. It’s about giving myself a break when I mess up, because everyone does. It’s about acknowledging how hard life can be sometimes when I’m having a pressure cooker of a day. It’s about the stories I tell myself about what I perceive others are thinking about me. Self-compassion was the bridge that allowed me to turn down the volume on my inner critic, on the outside voices, so that I could hear my own voice and be my own best friend. Now when I hear that nagging voice in my head when I’m contemplating doing something that feels scary, I say to myself “maybe I don’t have the ability, maybe I will fail and maybe it will be painful, but this is part of the human experience in which I choose to participate. I will continue to learn, see the strengths in myself and others, and no matter what, I know that I will be okay.” Then I will go for it and with a more whole appreciation of what it means to “believe in myself”. Can you relate?